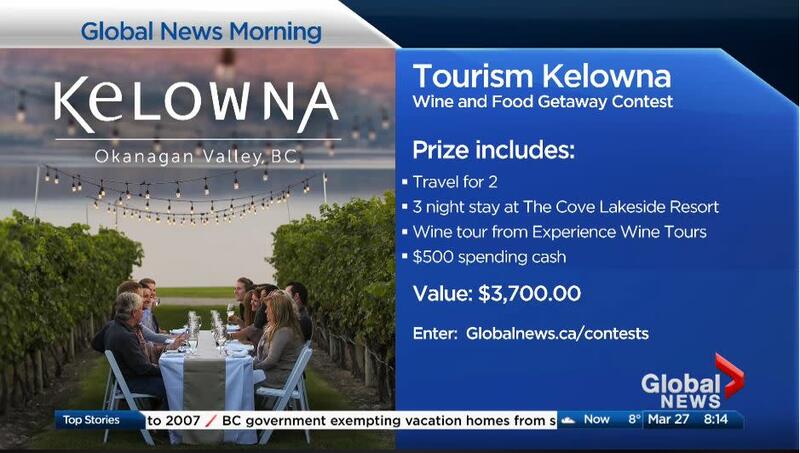 In the spring, Tourism Kelowna and Global Television teamed up on a contest to drive awareness and further build a database of travellers wanting to visit Kelowna and area. The results exceeded targets with over 21,000 entries from BC, Alberta, and Ontario. We were also able to capture over 1/3 of total entrants (over 7,700) as opt-ins for future information from Tourism Kelowna. The contest tactics included 10- and 15-second contest videos and social media postings. The Global Television contest page received 27,698 page views with an average time spent on the site of 2:19 minutes; social media posts reached over 22,000 people with over 6,300 video views. 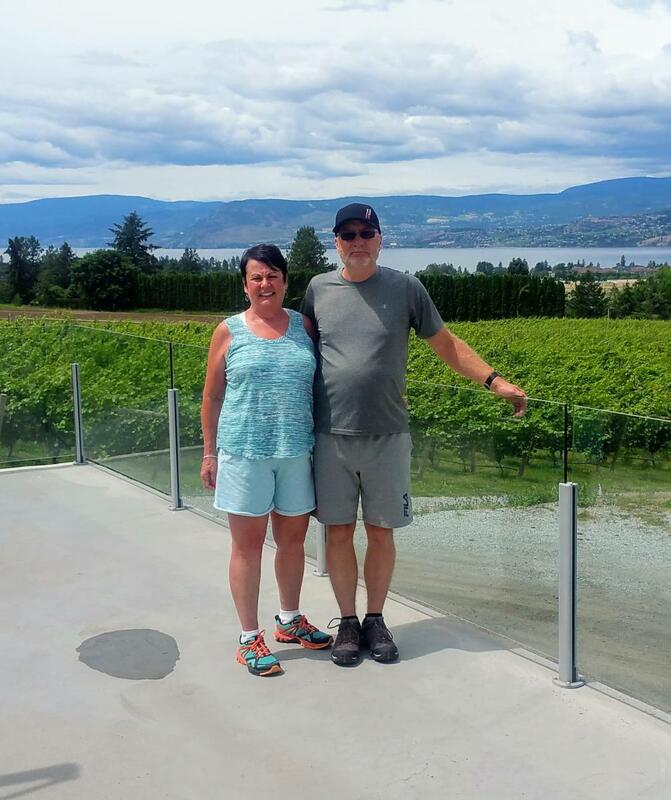 The contest winner, Connie from Edmonton, brought her husband to enjoy Kelowna and area the weekend before the Canada Day holiday. Thanks to The Cove Lakeside Resort and Experience Wine Tours for offering prizes for the contest. Throughout the year, Tourism Kelowna will initiate, partner, and support marketing and promotion opportunities if they can drive overnight visitation and increase awareness of our destination. 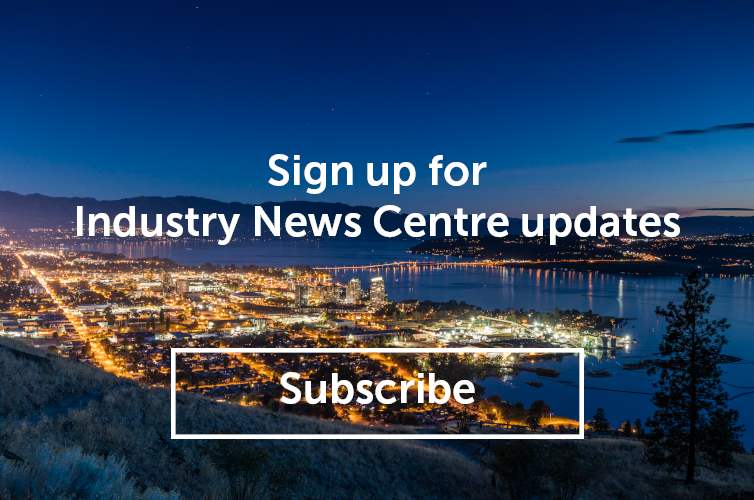 If you have prizes or want to partner on contesting opportunities, please contact Chris Shauf at chris.shauf@tourismkelowna.com or call (250) 861-1515 ext 203.